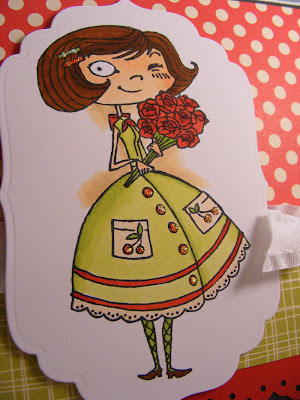 Posy was stamped in Memento black and colored with Copic markers. 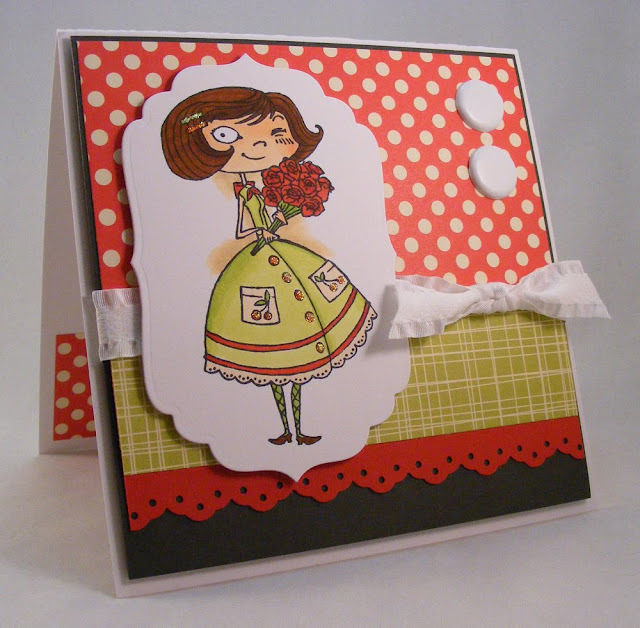 I added Stickles on her buttons, barrettes and the cherries on her pockets. 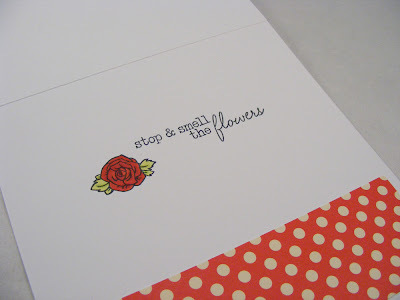 I finished off the inside with a PTI sentiment and the rose stamp, that comes with the Posy stamp. Oh my - she is DARLING! I'm gonna have to get me some of these girls! They are just too sweet! great job coloring and with the paper selection, Love it! great card, as usual. I love this line of stamps, I've been holding back but I know if I see her too many more times I'm gonna succumb. I love that one with the curls too. Jody this image is the cutest!! Love what you have been doing with them. This card and image is just too cute! We have a mutual friend, Mary R, and she warned me that you are an enabler. I just ordered Posy and 3 of her friends! Thanks for the inspiration! AGH!!! Another fan-freakin'-tastic job, Jody!! I'm SO glad you are lovin' these girls as much as I do!!! 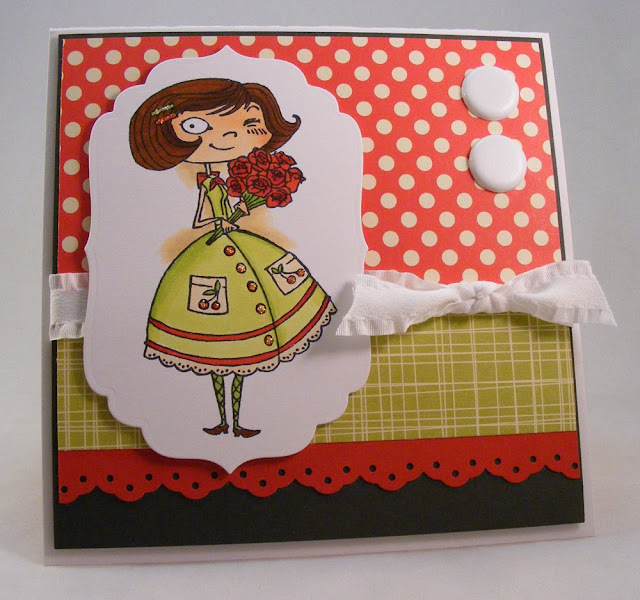 Love that scrumptious ribbon and the inside decoration with the accessory stamp...and perfect sentiment!! Jody, really fab job! I love everything about it and great attention to detail! CUTE!! I love the little bits of sparkle! And I think I need another punch....thanks.